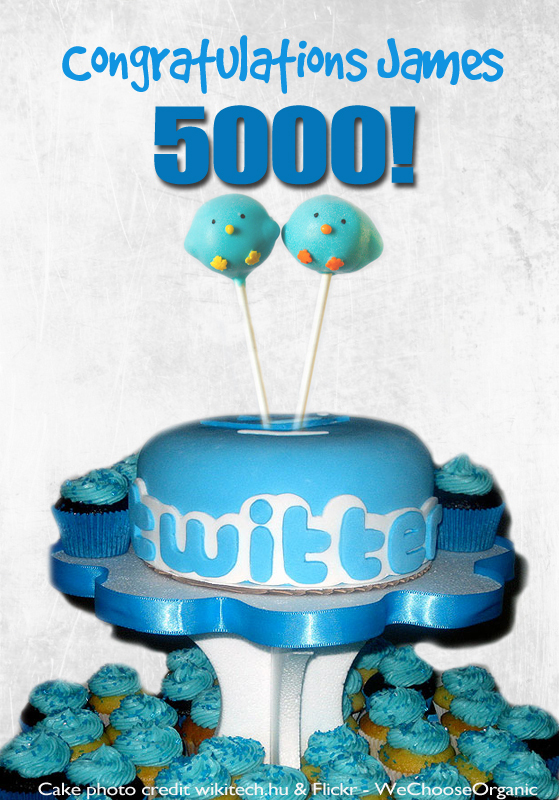 Wow…I’ve just hit 5000 followers! As I always say, welcome to the new 100, and thanks for sticking around to all the original gangsters! To celebrate I thought I’d make a virtual cake just for fun. Congratulations James. On behalf of all fans, thanks for being so generous with your time, especially as you work such long hours. Prev BAMBAM’s on Vine! Hell yeah! Next Well…. that settles it….. #SDCC here I come!